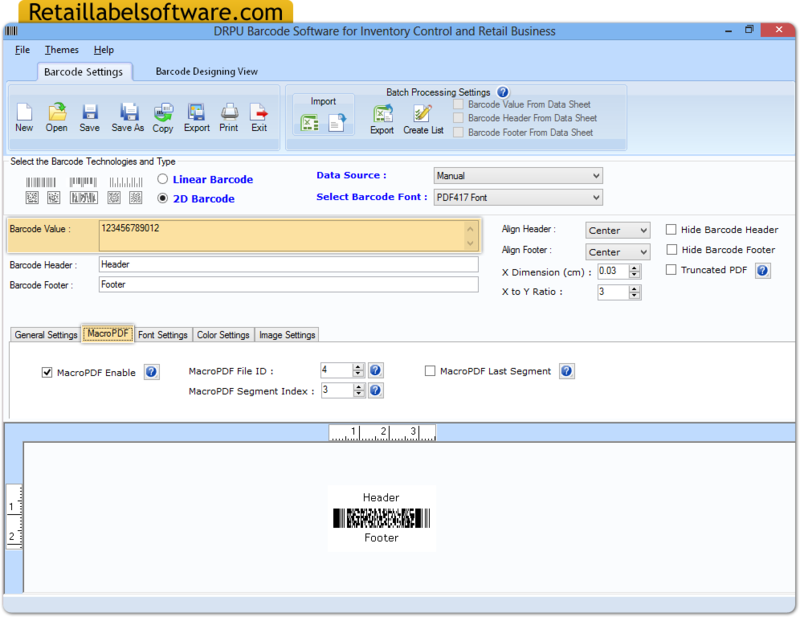 After choosing barcode technology with font type, set barcode value and make alteration in different barcode settings as per need. Above screenshots displays MacroPDF settings. 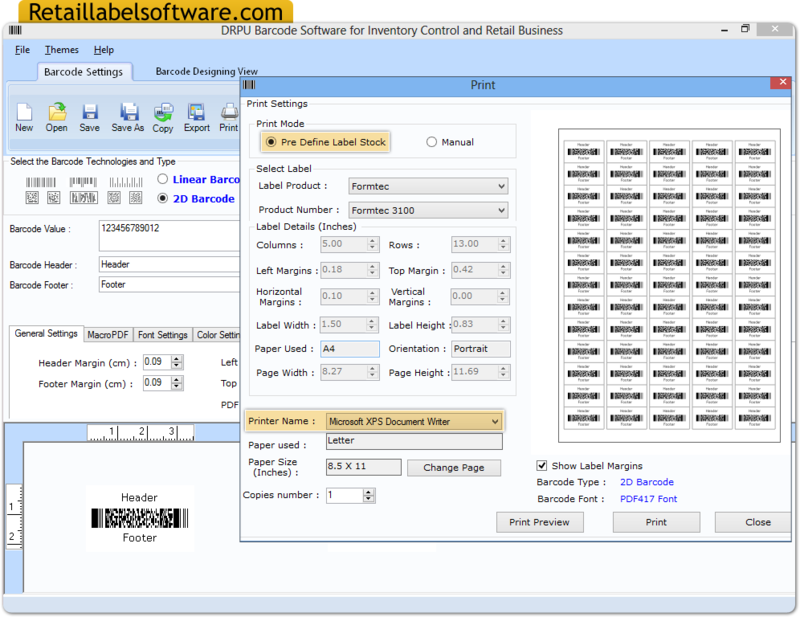 Go to print setting options and choose print mode (Pre Define or Manual) then set other attributes as per choice.